The Romanian may not have landed on our top models list for New York, but she really racked up the mileage in Milan and Paris. 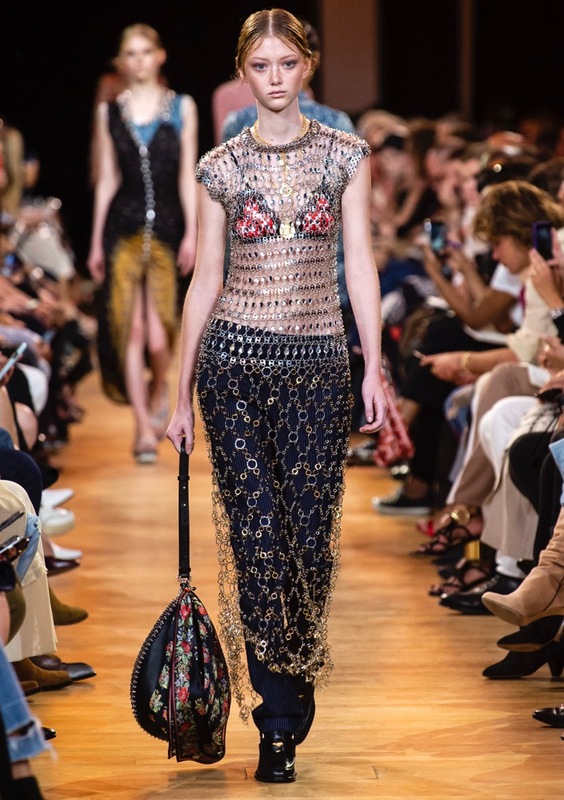 Alexandra Micu walked for Roberto Cavalli, Moschino, Versace, Etro and more in Milan, while hitting the Paris runways for Saint Laurent, Chloe, Christian Dior, Alexander McQueen and others. Add in shows in London like Burberry plus some select New York appearances for Carolina Herrera (which she opened), Coach 1941, Ralph Lauren, Boss, Longchamp and Escada and you can see why she made this list. He Cong also played catch-up after New York where she only strutted in six shows. 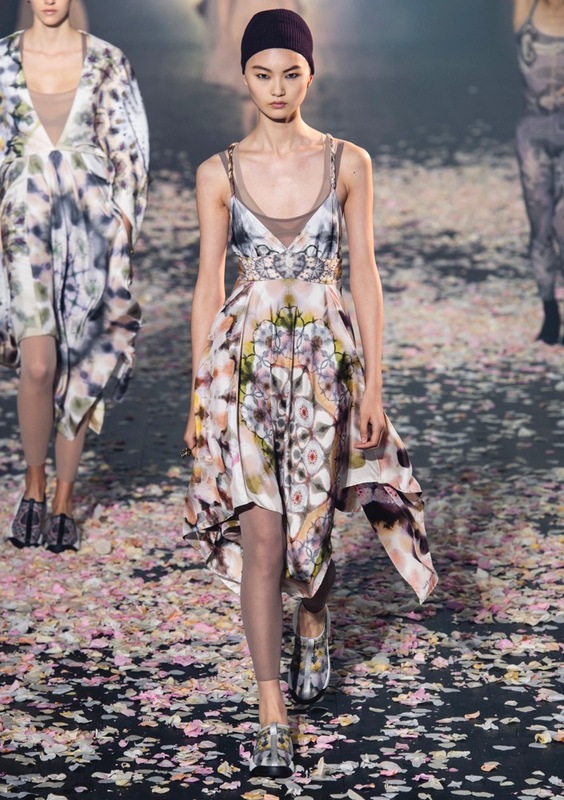 In London, the Chinese beauty represented for Simone Rocha, Mary Katrantzou, Erdem and Victoria Beckham, to name a few. Milan saw her at Prada, Dolce & Gabbana, Marni, Missoni and a couple more. She really picked up steam in Paris on the catwalks of Rochas, Christian Dior, Elie Saab, John Galliano, Chanel, Stella McCartney, etc. Sarah Dahl had a slow start in New York and London with only four shows per capital, but had impressive set lists for both Milan and Paris. While New York saw her at big names like Carolina Herrera and Michael Kors with London offering turns for J.W.Anderson along with Erdem, Milan was where she took off walking for Prada, Fendi, Roberto Cavalli, Missoni plus a few others. But Paris was where she shined adding Saint Laurent, Dries Van Noten, Chloe, Loewe, Valentino, Givenchy and more to her tally. Texan Sara Grace Wallerstedt kept her fashion month list pretty A-list. In New York, she was spotted opening for Tory Burch and at Calvin Klein, Coach 1941, Anna Sui and Michael Kors (plus others). 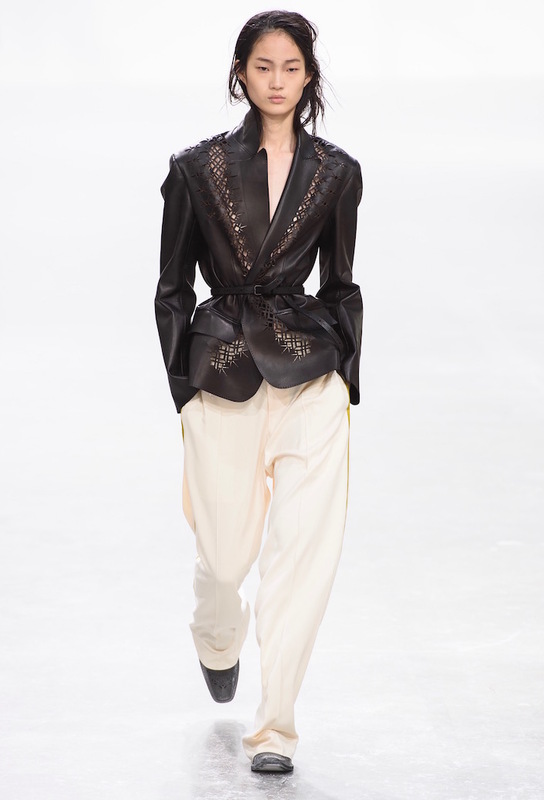 Across the pond, Sara walked for J.W.Anderson and Simone Rocha. Milan saw her stepping out for Fendi, Prada, Versace, Missoni, Salvatore Ferragamo and a handful more. Maison Margiela, Dries Van Noten, Paco Rabanne, Christian Dior, Valentino, Alexander McQueen, Givenchy, Chanel, Louis Vuitton and more welcomed her in Paris. Finally, someone who appeared on our top models list for the Big Apple this season. While Yoon Young Bae’s tallies in other cities fell a little shy of her 12 in New York, she still kept busy. The Korean stunner worked the runways for Burberry, Victoria Beckham and Simone Rocha in London. Milan saw her hitting the catwalks for Roberto Cavalli, Moschino, Marni, Missoni, etc. And Paris brought Jacquemus, Elie Saab, Valentino, Sonia Rykiel, Chanel…we could go on. The former winner of Korea’s Next Top Model also racked up 33 appearances. Hyun Ji Shin represented for the likes of Calvin Klein, Carolina Herrera, Coach 1941 and Tory Burch in New York. In London, you may have seen her at J.W.Anderson, Mary Katrantzou, Erdem plus a few more. 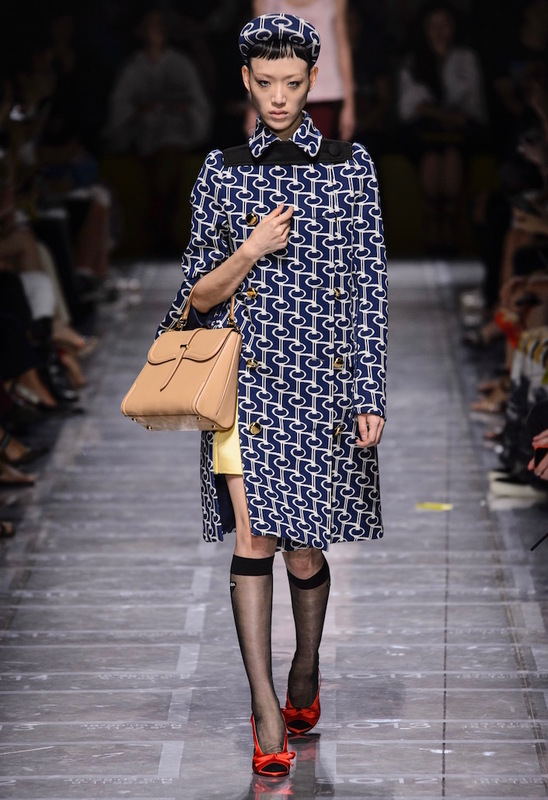 Fendi, Max Mara, Prada, Sportmax, Jil Sander and more were on the schedule for Milan. She opened Giambattista Valli in Paris and added Haider Ackermann, Saint Laurent, Loewe, Valentino, Givenchy, Chanel and others to her final tally. Fran Summers opened Tom Ford in New York and walked for Calvin Klein, Coach 1941, Marc Jacobs, Proenza Schouler and more. The U.K. native closed Simone Rocha and opened and closed Matty Bovan in London (plus walked for a few others). Milan saw her at Fendi, Prada, Versace, Max Mara… And Paris capped off her fashion month with stints at Chloe, Loewe, Isabel Marant, Stella McCartney, Sacai, Alexander McQueen with a handful more. Adut Akech not only racked up shows, but some impressive openings and closings. The South Sudanese stunner opened Escada in New York plus appeared at Calvin Klein, Tory Burch, Anna Sui, Michael Kors and more. London saw her at Simone Rocha, Burberry and Victoria Beckham with Milan supplying Fendi, Max Mara, Moschino, Prada, Versace, Salvatore Ferragamo plus a couple of other shows. But she ended the month with a bang by not only closing Valentino, but Chanel’s day at the beach. 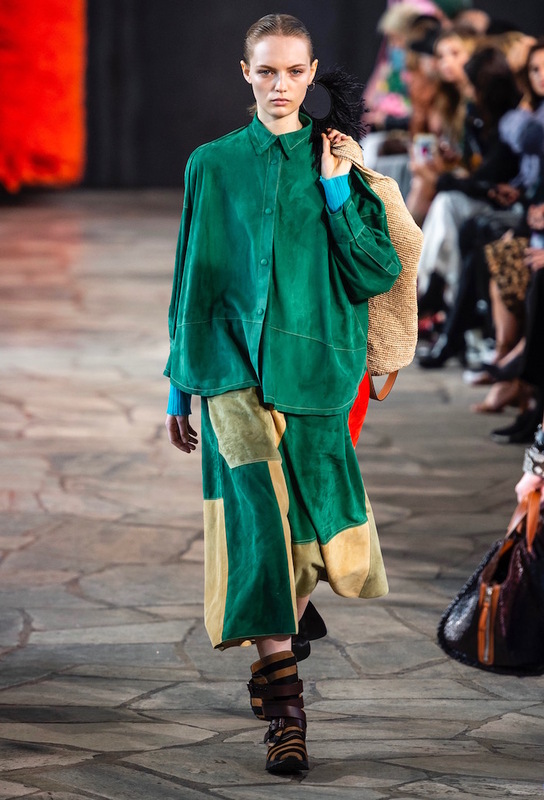 Sora Choi kept the momentum going from New York where she walked for Calvin Klein, Prabal Gurung, Jeremy Scott, Boss, Michael Kors and more. In London, the Korean beauty added Simone Rocha and Burberry to her tally. Milan brought Roberto Cavalli, Prada, Max Mara, Versace, Missoni and others. She wrapped up her growing résumé in Paris with Saint Laurent, Altuzarra, Dries Van Noten, Loewe, Haider Ackermann, Celine, Givenchy, etc. Blowing away the competition, Rebecca Longendyke clocked an amazing 43 shows for Spring 2019. New York: Calvin Klein, Carolina Herrera, Oscar de la Renta, Michael Kors, Tom Ford… London: J.W.Anderson, Simone Rocha, Burberry, Mary Katrantzou (which she opened)… Milan: Closed N°21 and walked for Roberto Cavalli, Fendi, Max Mara, Moschino, Prada, Versace, Missoni… Paris: Opened Stella McCartney, closed both Sonia Rykiel and Paco Rabanne plus hit the runways of Sacai, Dries Van Noten, Isabel Marant, Saint Laurent, Christian Dior, Valentino, Chanel, Louis Vuitton…we could go on, but frankly, don’t have the space. Now that all the runways have been walked, it’s time to break down the Spring 2019 season. At least when it comes to model mileage. We were kind of surprised that only three models on our top models of New York Fashion Week Spring 2019 countdown made the month’s final tally (Yoon Young Bae, Adut Akech, Sora Choi). But we were happy with the fact that half of the season’s top 10 were women of color — though no plus-size, over 50 or transgender models made the list. And wait until you see who turned out to be number one. Now that we’ve piqued your curiosity, check out the slideshow to see which models scored the top spots. The post Half of the Top 10 Models on the Spring 2019 Runways Were Women of Color appeared first on theFashionSpot.